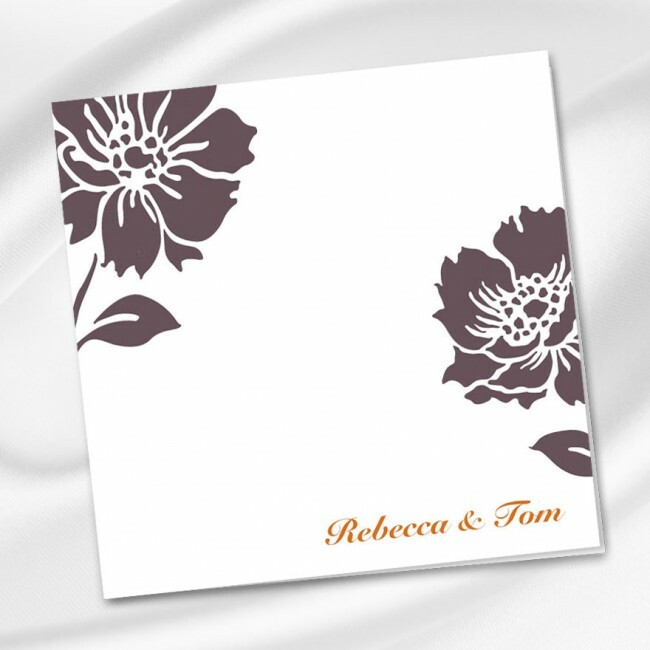 This luxurious 140mm x 140mm Vintage Flowers Wedding Invitation card is printed on premium 300gsm board with a full 100% money-back guarantee. 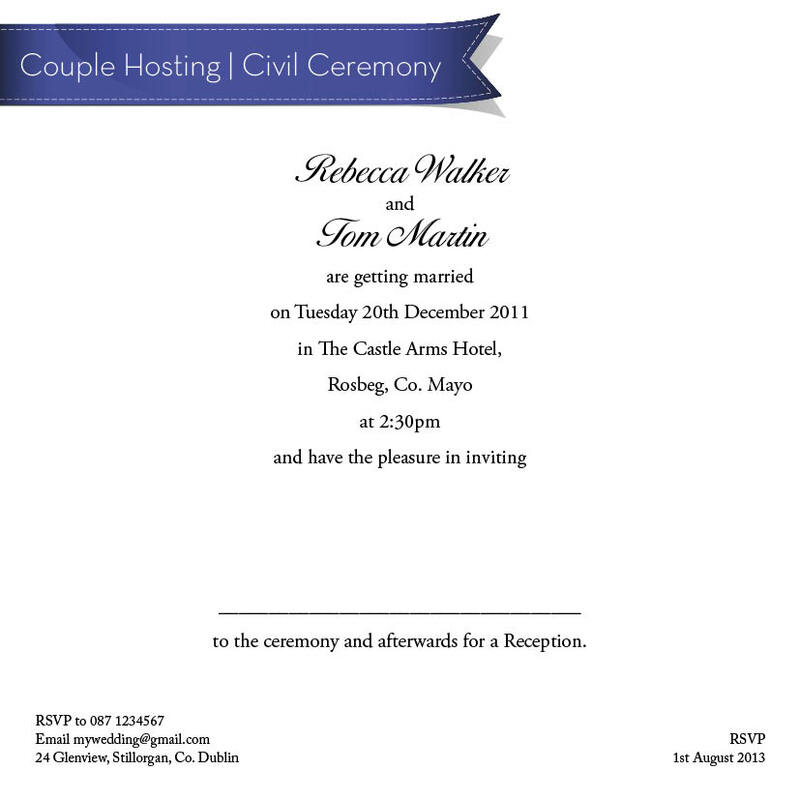 Personalise your Wedding Invitation here. Our designers will send you electronic proofs before we print. Once you approve your design, we'll print and ship within five days. Please choose the quantity you require. 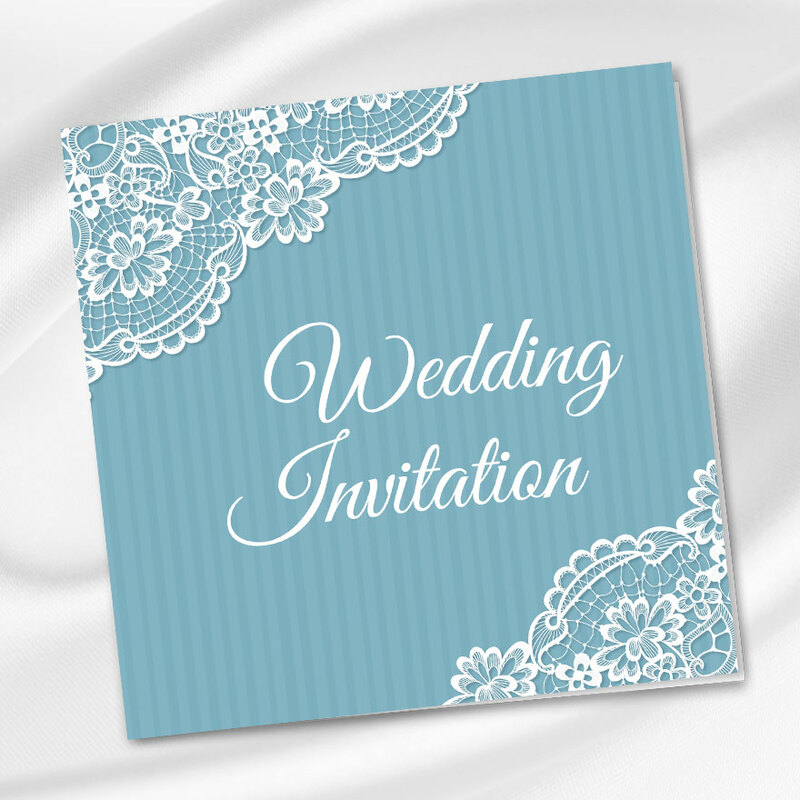 Our personalised sample is an individual printed invitation personalised with your details. Please include both first names and surnames. Church, registry office, hotel etc. 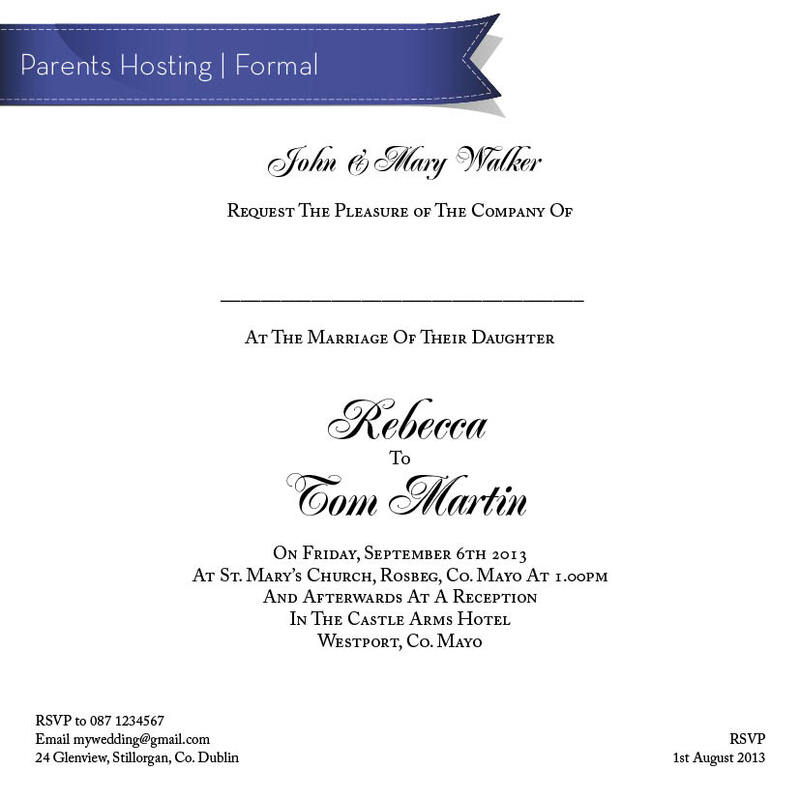 Your wording style will determine how formal or informal your invitation will be. A full range of wording styles is available on the menu above. Don't worry - you can change your mind after you order! 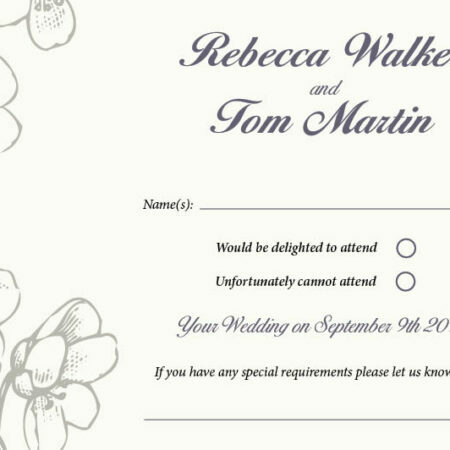 Generally, you should allow four to six weeks between your RSVP date and your wedding date. 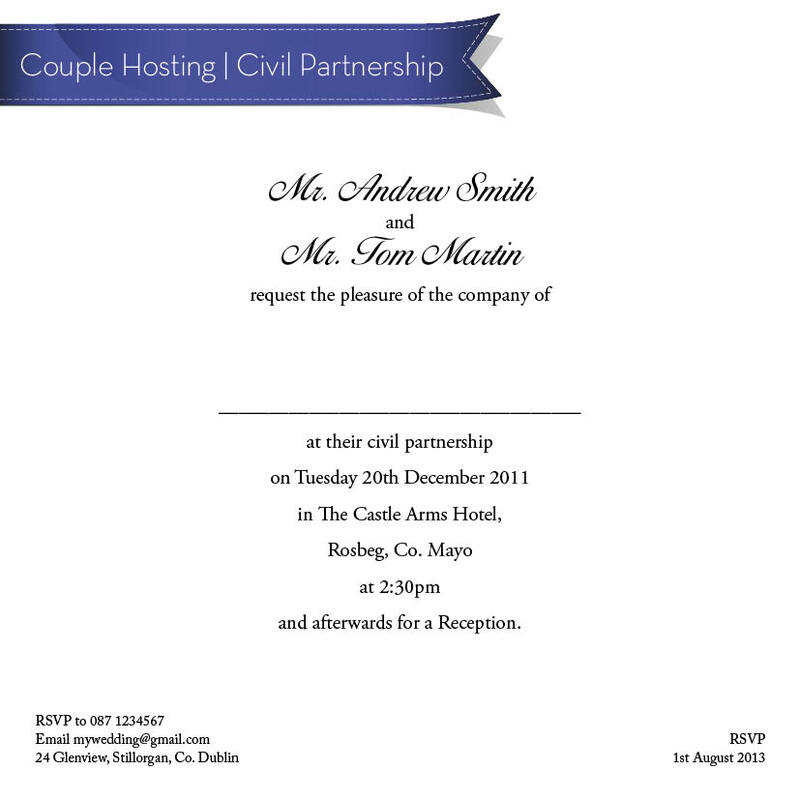 This is the return address for your RSVPs. If you would like your guests to confirm attendance via email, please complete this field. 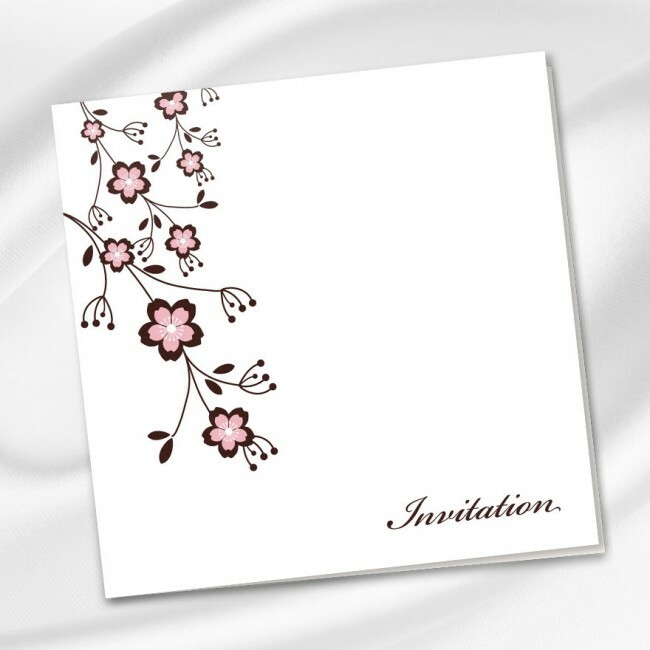 Many people invite their guests to confirm their attendance via text or phone call. 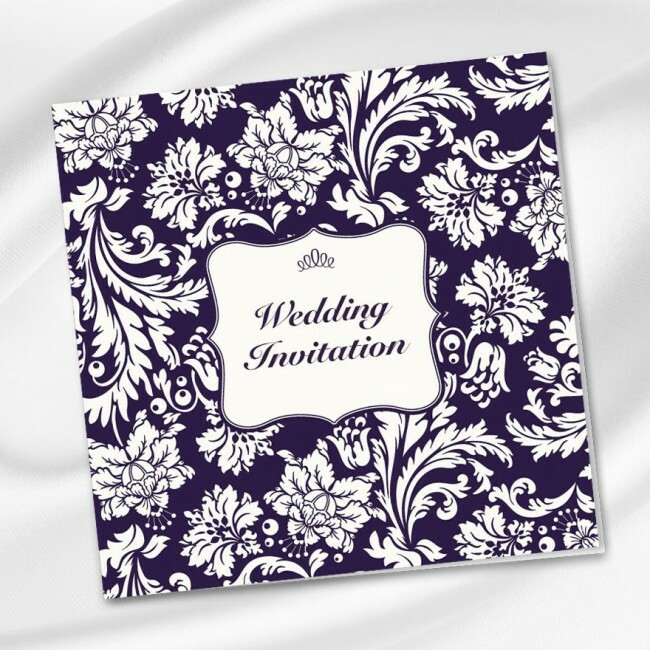 Many couples use a website to control RSVPs and carry additional information about their day. If you have a website address you would like to include, please do so here. If you have any other requests please add them here. Examples might include. For example, you might like to specify a dress code or ask about dietary requirements. 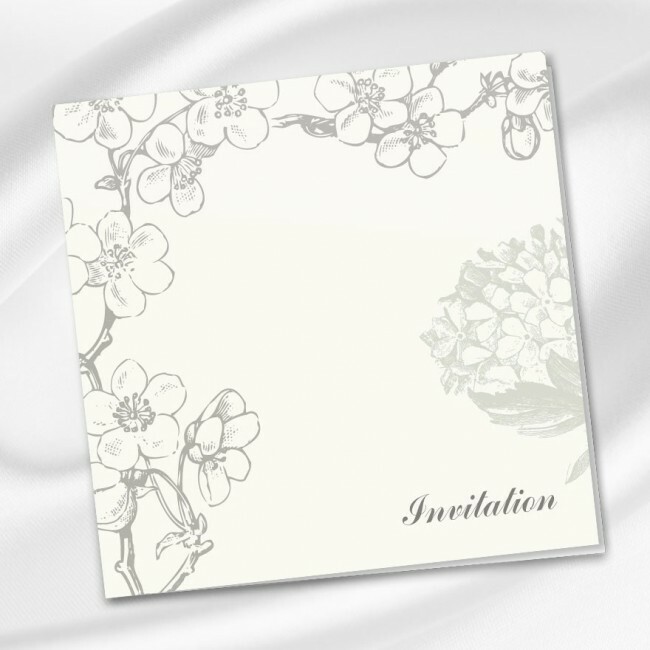 This elegant?140mm x 140mm Vintage Flowers Wedding Invitation Wedding Invitation card is printed on premium 300gsm white uncoated board. 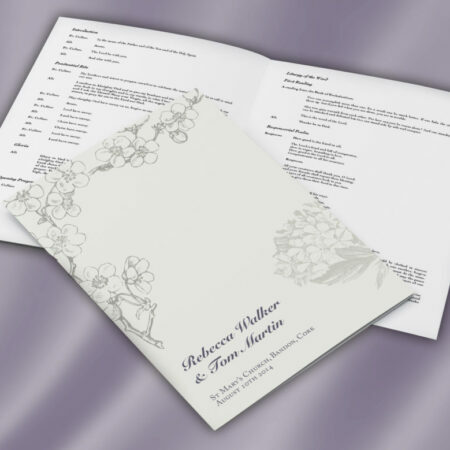 All prices include a supply of white diamond flap envelopes and also FREE delivery nationwide. Ordering is simple! 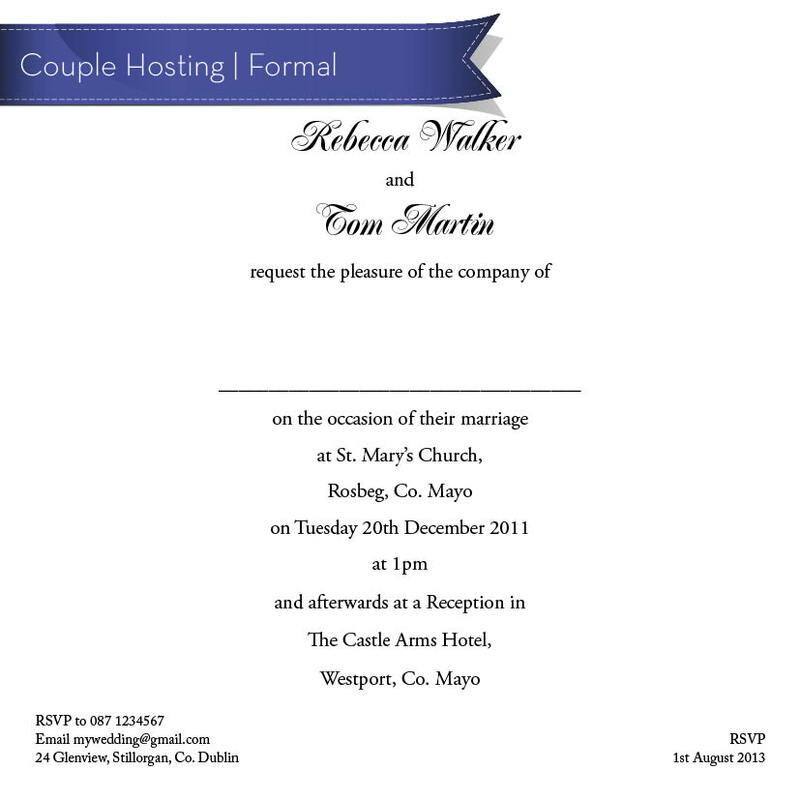 Simply fill in your?details on the online order form. Our designers will then email you a PDF proof for review. If?you decide to make any changes to the wording, contact our design?team and we?will be happy to assist you at no additional costs. 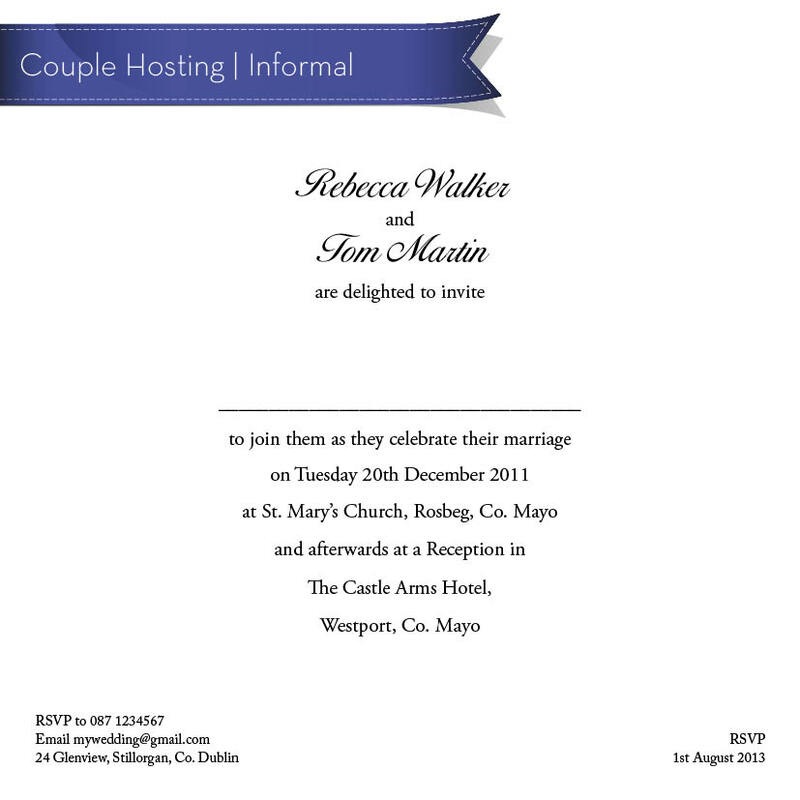 Couples?can view the price list for this product or any of our other designs in the Classic and Contemporary range at?weddingprint.ie/wedding-invitation-prices/. All our prices include supply of envelopes, VAT and delivery nationwide, so there are no hidden fees. 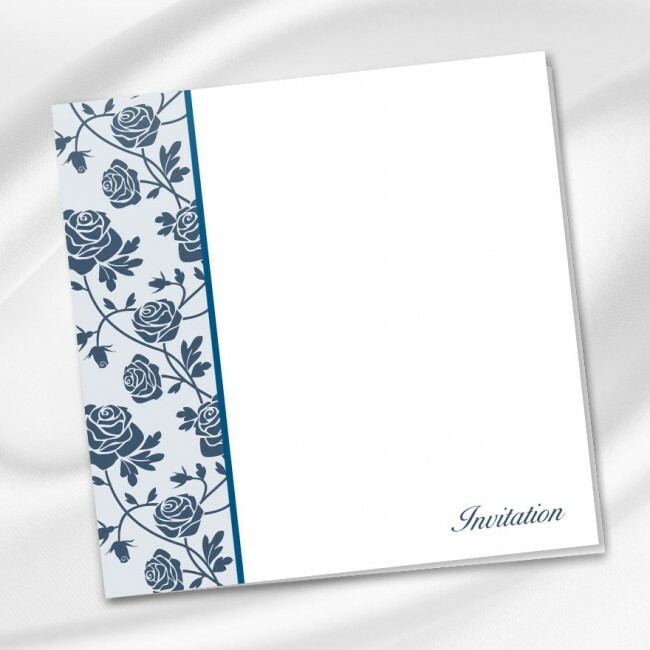 Are you looking?to upgrade to a premium pearlescent board with matching envelopes? 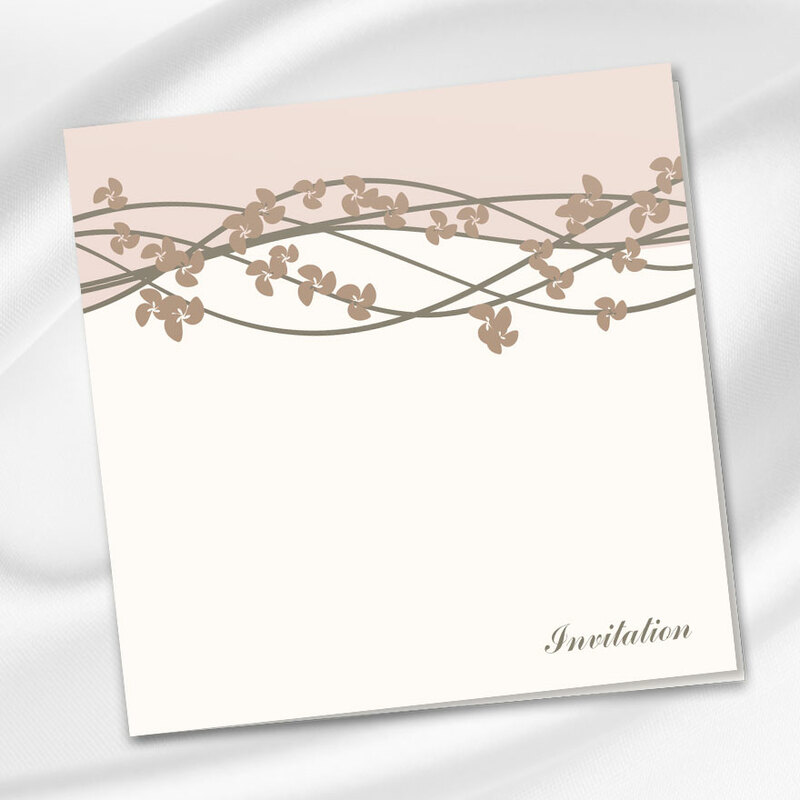 Or maybe you would like to have your guests’ details?pre printed on the invitations and envelope, contact us. Our customer care team will be happy to help you and provide you with a quotation.